New Delhi : The dreamy wedding of Priyanka Chopra and Nick Jonas took place last year in the month of December. The Indo-American wedding has been a grand affair, arranged in the picturesque Umaid Bhawan in Jodhpur in presence of family and close friends. The wedding is over, yet the couple are making news each new day, The pictures of Nick-Priyanka wedding is still dominating the social media world. In a chat show, hosted by Neha Dhupia, Parineeti Chopra, the sister of Priyanka Chopra was asked about the biggest wedding of 2018. For quite some time, fans were curious to know what Nick gave the bridesmaids as joota chhupai gift. A day after the ceremony of joota chhupai, there were rumours that Nick ended up paying only Rs 5 lakh as token of love. However, Parineeti soon took to social media to quash the reports and revealed that Nick was more than generous. The Namastey England actress revealed that they expected to extort thousands of dollars from the groom but he took them aback with his preparation. She said that Nick signalled his groomsmen to bring in a tray of sparkling diamond rings, one for each bridesmaid. "He is the best!" added Pari. It’s worth mentioning that Joota chhupai is a tradition followed across weddings in North India wherein the sister-in-law steals the shoes of the groom and then asks for money or gift in return. 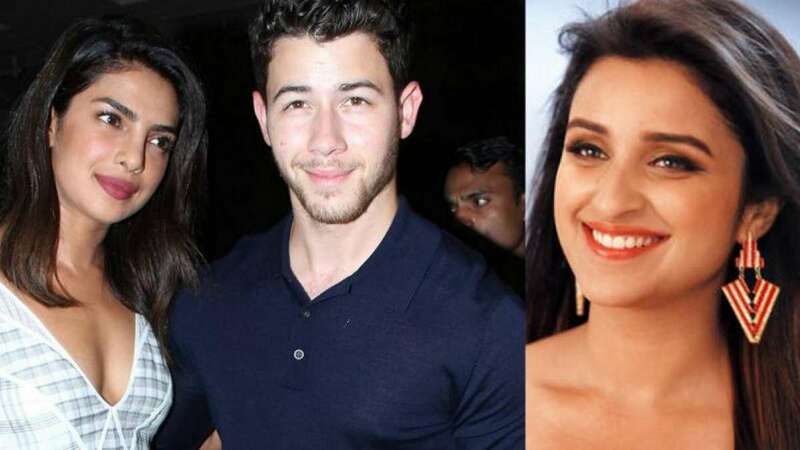 Report also claims that when Neha Dhupia asked how Nick responded to the demands of bridesmaid at joota chupai, Parineeti said he had come all prepared.